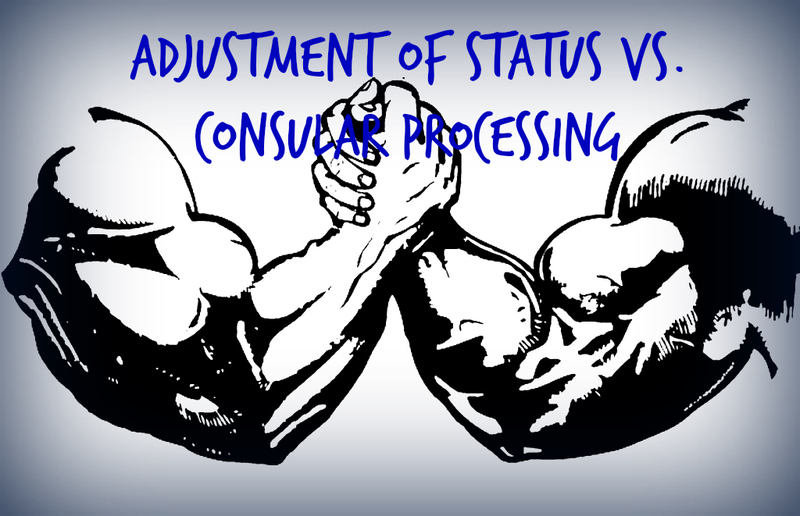 Our clients often ask us what the difference is between adjusting their status within the United States versus applying for a green card at a United States consulate abroad. In order to adjust your status to permanent resident within the United States by filing Form I-485, you and your spouse must be living inside of the United States at the time of filing. The intending immigrant must also have entered the United States legally in order to adjust status within the United States, although there are few exceptions (as is the case of individuals who qualify for 245i). This means that generally, in order to qualify for adjustment of status, you must have been inspected by a U.S. Customs official at a United States port of entry. As part of the Adjustment of status process, the green card applicant must be able to prove that they were inspected upon entry by showing their I-94 arrival/departure record. The I-94 is a small white paper that is placed in the passport containing a stamp of admission with the date of entry, place of entry, the person’s name, I-94 number, and other important details. If you did not receive a paper I-94 in your passport, you may obtain your I-94 electronically by visiting the DHS website. Consular processing on the other hand is an option that is typically utilized for spouses of US Citizens residing abroad and/or foreign spouses who have never visited the United States, do not have a United States visa, or cannot obtain one, because they are already married to a US Citizen. Foreign spouses who are obligated to travel frequently such as businesspersons may also prefer to obtain an immigrant visa through ‘consular processing’ because this process does not prohibit international travel. Adjustment of status applicants on the other hand are prohibited from traveling internationally once the I-485 green card application has been filed, unless they have received travel permission from USCIS known as an advance parole document. If the applicant travels without this advance parole document, the I-485 application will be considered abandoned. In order to receive this advance parole document, the applicant must file Form, I-131 Application for Travel Document at the same time as Form, I-485 in order to return to the United States after temporary foreign travel. If the applicant wishes to apply for a work permit they must also file Form, I-765 Application for Employment Authorization. There is no additional fee for the I-131,765 applications if the applicant has a pending I-485 application with USCIS. The I-131,765 applications take approximately 90 days to process from date of filing and culminate in a travel/work permit combo card known as the EAD (Employment Authorization Document). This document allows the applicant to work, travel, obtain a SSN number, and driver’s license. Consular Processing applicants do not receive any travel or employment authorization and cannot obtain a driver’s license or SSN until they have received their green card once they enter the United States with an immigrant visa. 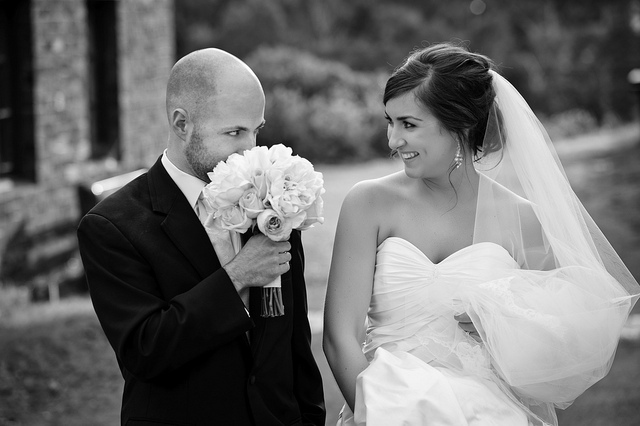 There are many benefits that come with adjusting your status within the United States however to qualify you and your spouse must be living in the United States and you must have been inspected upon entry to the United States (with few exceptions), otherwise you are not eligible to apply for adjustment of status within the United States. If you have committed any immigration violations or have a serious criminal history, you must consult an attorney. Before filing your green card application, it is important for you to carefully consider several important factors that may limit your ability to obtain employment in the United States and restrict your international travel. If you will be filing your green card application in the near future, you need to be prepared to remain in the United States for a period of at least 90 days, from the date of filing of your green card application. Applicants must also be aware that they will not receive authorization to work in the United States until this 90-day period has passed. Limited exceptions exist which may allow an applicant to expedite the adjudication process of the employment and travel authorization applications which we will discuss below. Why the 90-day restriction period? As part of the green card application, the applicant may file the I-765 Application for Employment Authorization and the I-131 Application for Travel Document at no additional cost. The I-765 and I-131 applications result in the issuance of a one-year temporary employment and international travel authorization card (EAD), while the green card application is being adjudicated by USCIS. It takes on average 90 days for the EAD card to be issued, from the date of filing of the green card application. This ultimately means that once you apply for permanent residence, you will not be able to seek employment or travel outside of the country until the EAD card is issued to you within 90 days. Once the green card application has been filed with USCIS, the applicant is restricted from any international travel. If the applicant travels without authorization, USCIS will consider the applicant’s green card application ‘abandoned.’ An applicant may only travel internationally if they have received a re-entry permit issued by USCIS known as an ‘advance parole’ document. The ‘advance parole’ notice will appear on the front of the EAD card itself signifying that the applicant is authorized to travel internationally using the card. The ability to re-enter the United States after returning from temporary foreign travel is ‘discretionary.’ This means that even if you have been issued an EAD card that allows you to travel, it will ultimately be up to the customs official to admit you into the United States. Before applying for your green card you should carefully consider whether these travel and employment restrictions will have a significant impact on your lifestyle. If the travel restrictions are concerning to you, it may be a more beneficial option for you to apply for an immigrant visa from a U.S. Consulate abroad. There are no travel restrictions for applicants who apply for immigration benefits from abroad. Likewise, if you are concerned that you will not receive employment authorization immediately, it may be worth considering applying for a dual intent work visa first to cover any gaps in employment. There are limited work visa categories that allow for dual intent, or the intent to have a temporary visa status at the same time as having the intent to remain permanently in the United States. If this is the case, you should consult with an attorney to discuss your options. Adjustment of Status is the process by which a foreign national can change their immigration status from a temporary nonimmigrant to an immigrant (permanent resident), while in the United States. There must be a basis under which a foreign national can apply for adjustment of status. In most cases the foreign national must have an immediate relative who is a U.S. Citizen or have an employer willing to file an immigrant petition on their behalf. Generally, a foreign national can apply for adjustment of status, if they were inspected by a customs official at a United States port of entry and admitted or paroled into the United States, and meets all requirements to apply for a green card (permanent residence). The Immigration and Nationality Act (INA) allows an eligible foreign national already living in the United States with their U.S. Citizen spouse, to obtain permanent resident status without having to return to their home country to apply for an immigrant visa at a United States consulate abroad. Spouses of U.S. Citizens are eligible for adjustment of status to permanent residence once the US Citizen spouse files a petition on their behalf called the I-130 Petition for Alien Relative. The I-130 Petition for Alien Relative is typically filed at the same time (concurrently) as the I-485 Application to Register Permanent Residence or Adjust Status. For immigration purposes, the intending immigrant (or foreign national) is referred to as the ‘beneficiary’ of the application, while the U.S. Citizen spouse is referred to as the ‘petitioner’ of the I-130 application. The petitioner allows the beneficiary to apply for adjustment of status on the basis of their marital relationship (established with the filing of the I-130 Petition). In general, most immigrants become eligible for permanent residence once an immigrant petition is filed on their behalf by either a qualifying family relative (I-130 Petition) or through an employer (I-140 Petition) although there are special categories of green card applicants that exist. Unlike distant relatives of U.S. Citizens and alien workers, spouses and immediate relatives of U.S. Citizens are not subject to any visa limitations. This means that they do not need to wait in line to receive permanent residence; an immigrant visa is immediately available to them and there are no quotas. The process of immigrating a foreign spouse through adjustment of status takes approximately 4-6 months depending upon the volume of adjustment of status application being processed by USCIS at the time of filing, and the amount of applications waiting in line for an interview at your local field office. For spouses of U.S. Citizens residing abroad, adjustment of status is not an option because the intending immigrant and U.S. Citizen spouse must be living together in the United States in order to apply. Instead, spouses of U.S. Citizens who are living abroad must resort to consular processing, in order to obtain an immigrant visa and permanent residency. Consular processing is also utilized to immigrate a foreign spouse who is ineligible to adjust status, for example in the case where the foreign spouse entered the United States illegally.